The second year of the Tech Festival in Copenhagen brought in more than 16,000 people over five days. We had the opportunity to attend as well, and some interesting experiences to share with you. The first thing we noticed was that it wasn’t like a usual tech festival: there were no sponsor corners, nothing like that. The entrance fee was about 25€ but no one was checking your bracelets. During the weekend, you could bring your children. All in all, great organization and great friendly atmosphere where everyone knew what they came for. We had a chance to visit a workshop that was held in a loft-style coworking. Such atmosphere is great for a startups, perfect for exchanging the knowledge on business and technology, as well as for networking. Every topic touched upon not only tech, but also social and environmental problems. The prospects of using artificial intelligence in medicine and the influence of digital media on mental health were among the topics discussed. The Smart City program is very in right now. Local organizations and funds in Denmark support people who make a contribution to environmental safety and other issues connected to the Smart City concept. 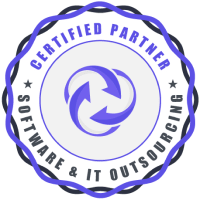 We had the opportunity to meet organizations that connect research institutions with businesses to get synergy effect. A great part of the fest was that 150 visionaries from over 35 countries created a catalog with 150 principles for a new direction in tech. The posters are designed to connect more with people who are less tech-oriented. There were about 200 different events held around the city in different coffee shops, bars, and restaurants. It was very neat, even if, in the end, it didn’t exactly scream «Techfest». It did help us get a feel of the local mentality, culture, and even business specifics. There were also many single workshops, meet-ups and summits for different occasions. Every one of them had an event planner who picked speakers very scrupulously. In general, we were left with an impression that this year’s Tech Festival was primarily aimed towards students and tech startups. Although that might have been just because we missed the lectures on more complicated topics. Compared to Web Summit and CeBIT, this one was more of a local event. Most people came from Denmark and the neighboring parts of Sweden. But we were also able to meet people from other parts of the world: Greece, Spain, UK, Germany, Norway. The local market is quite limited so it seems like everyone wants to get to the international one. The population of Denmark is only about 5 million, and it’s hard to get a nice investment for a startup if it’s oriented towards the local market and there is no scalable business model. 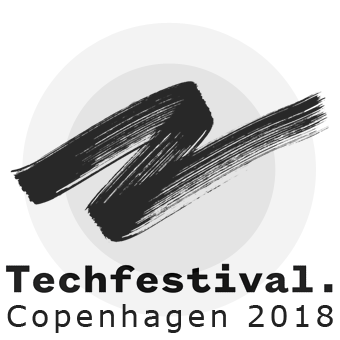 Copenhagen Tech Fest 2018 was a fun experience. The importance of social issues and ecology was a refreshing accent for a technology event.